Reggie is our big beautiful Bulldog who has a head full of devilment and loves to get up to all sorts of mischief. So a typical bulldog ! We would love to show him at some stage , but at the moment Reggie does not do mornings. He wakes up around 10 to get his toast and marmalade and chills out on the couch watching Sponge Bob Square Pants. 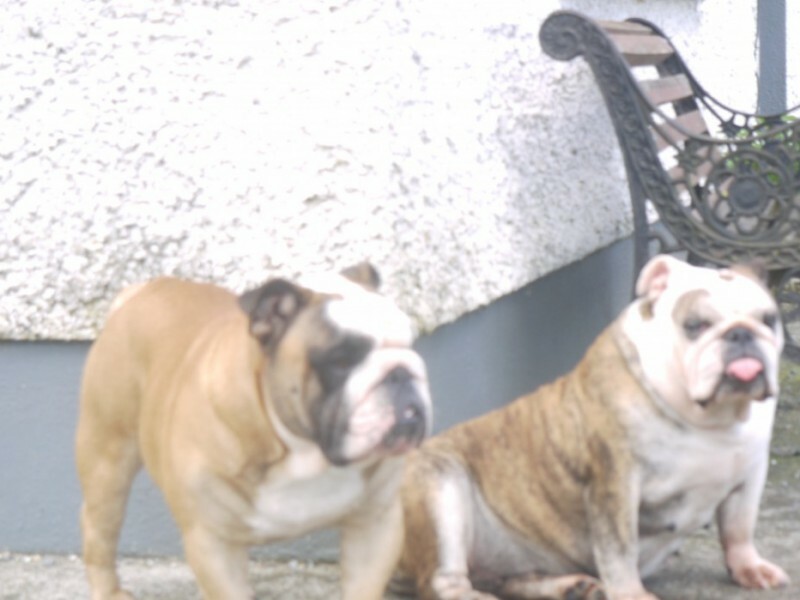 His best friend and partner in crime is our other Bulldog girl Porsche. 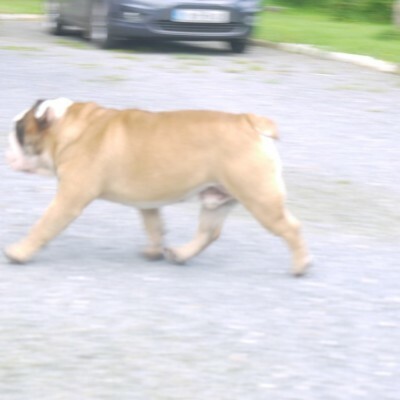 Reggie’s movement and temperament if faultless and has very powerful movement that I have never seen in a bulldog. Reggie is a right little character and we wouldn’t change him for the world. We are hoping to have Reggie in the show ring soon but we will first have to try to get him awake a little earlier in the mornings ! [REVERSE PEDIGREE] Int. NORDUCH Lux FIN B Ch.